Located between the stomach and other organs, including the liver, spleen, and small intestine, the pancreas is an abdominal organ of about 6 inches in length that helps regulate blood sugar and improve digestion. Diabetes, pancreatic cancer, and pancreatitis are three diseases associated with the pancreas that may require its surgical removal. How will your life change when you have your pancreas removed? Let's find out more. Yes, you can live without a pancreas. You will have to pay attention to several things though. The pancreas secretes insulin to control blood sugar levels and releases digestive enzymes as well. In the absence of your pancreas, you will have to take medications to replace these functions. You may have to take oral pancreatic enzymes and insulin injections for this. It is also important to know that the complete pancreas is rarely removed through surgery, but it is more common to have a pancreas that does not function properly. If you have Type 1 diabetes, it means your pancreas still produces digestive enzymes but is incapable of making insulin. However, even when part of the pancreas is removed, the remaining pancreas usually does not work efficiently to produce enough enzymes or insulin. Some people go for artificial replacement, but this usually is not as effective as a healthy pancreas. You can still try ways and make lifestyle changes to live an active life even with pancreatic insufficiency. 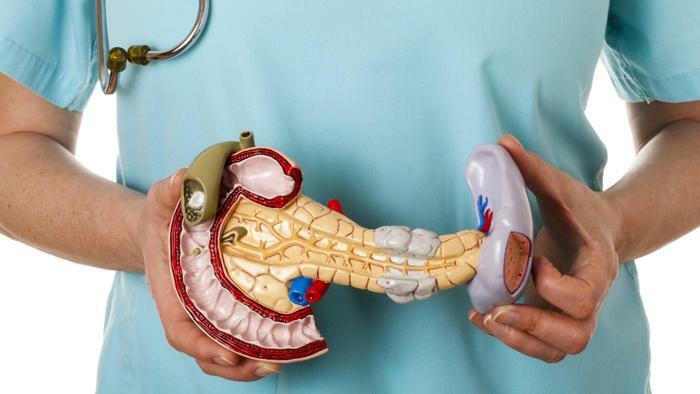 Can you live without a pancreas? Yes, but you need to follow certain steps and make changes to your lifestyle to live an active life. It is important to take your enzymes without fail when you are dealing with pancreatic insufficiency. Without enough enzymes, your body will fail to digest food and you will end up dealing with issues such as bulky floating stools, diarrhea, and abdominal pain. Along with taking your enzymes regularly, you also need to know how much you need. If you are on a fat-rich diet, you will require more enzymes for proper digestion. So, pay attention to your diet when deciding on how much enzymes to take. You need to monitor your blood sugar levels closely when your pancreas is removed. Your doctor will tell you how often you should check your blood sugar, especially when you are in stress, are ill, or have performed strenuous physical activities. Any change in your blood sugar levels will make you feel shaky and tired. Do not ignore these signs. Can you live without a pancreas? Monitoring your blood sugar level is critical when you do not have a fully functional pancreas. Keeping your blood glucose meter with you all the time will help make things easier. Also, keep your sugar tablets or gel with you and have extra stashes with you to use them whenever you want. You may also consider keeping a snack with protein with you to consume when your blood sugar levels are low. You need to work with your healthcare provider and keep in mind that you will always require their assistance when you are living without a pancreas. There will be times when you will eat something that your body fails to digest. You may have to change the amount of enzymes you take for better absorption. You can make all these changes only after talking to your doctor. Moreover, regular doctor visits are important because your healthcare provider will check your kidneys and other organs to ensure they are functioning fine. You will require blood tests and have to opt for extra immunization if you have already had your spleen removed. Regular eye and dental checkups are also important. Talk to someone who has the same issue to know how they are managing things. You may even require counseling to deal with all the stress that comes with the surgery. The surgery will lead to hormonal imbalance that will affect your mood as well. You may also experience different emotions, such as anger, anxiety, fear, and frustration before and after the surgery. So do not shy away from working with a counselor to make you feel better. Can you live without a pancreas? Yes, it is possible, but you will have to make lifestyle changes. For starters, pay attention to your diet. Sticking to a low-carb diet with nutritious, unprocessed food will always help. You may consider keeping the Official Pocket Guide to Diabetic Exchanges with you to help keep an eye on how many carbs you consume. You may also want to try low-carb recipes to keep things under control. Similarly, maintain an active lifestyle, but do not push yourself hard. "I lost my pancreas to an acute necrotizing pancreas attack. My CT scans showed a mass of cysts and scar tissue with the duct destroyed completely. My body was not producing any insulin. It was extremely difficult to cope with all the changes, especially during the first year after the loss. I then followed an exercise routine with attention to my diet to control the diabetes. I also take enzymes to prevent digestive issues." "My son lives without a pancreas. He lost most of it when he had a partial pancretectomy at 11 days old, and the rest of it was removed when he was 21 days old. He is now 20 years old and is on 4 shots of insulin a day. He also takes 5 Creon Forte with every meal as well as 1 Creon Forte with a snack. He is overall healthy but has small stature. Diarrhea is a common issue for him, especially when he forgets his Creon." "I had my pancreas removed at 21 and am now in clinical studies because of an auto-islet transplant which helped improve my diabetes. I was diabetic for 4 months, but then my liver started pitching in and is now producing insulin on its own. I have to take 5-7 pancrelipase pills with every meal. I also have my appendix, spleen and gallbladder removed. I experience abdominal pain, and pain in my upper left quadrant of my stomach. My stools sometimes become fatty and I feel very sick after having a bowl movement. I am still looking for something that works fine for me." "My mother has her spleen removed about 9 years ago because of pancreatic cancer. She is now 85 and takes medications with insulin to keep things under control. It is working fine for her but she has lost serious weight just recently." How Does Digestive System Function?